I am passionate about life, about learning and improving from it. Whilst we have advanced massively in technological areas, we haven’t advanced anything like so much in moral and emotional areas. There is always something to be learned from other people. This is an amazing time to live in; an age of constant change. Technology gives us such wonders we never had even ten years ago, yet for all these amazing things we should not remain ignorant of history. The words of a wise man often come back to me: “The man who ignores history is doomed to repeat it”. Cricket is my main interest, something I can talk about for hours. As a Surrey supporter you might expect me to say that The Kia Oval is a great ground and the Surrey staff and players are delightful. But it’s true. 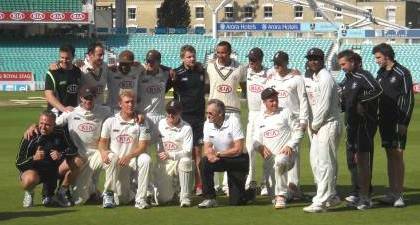 The passing of Tom Maynard in 2012 was a shock to all involved with Surrey. I know I am not the only one who fought back tears on hearing the sad news. The tributes for Tom left at The Kia Oval where a Book of Condolence was opened. 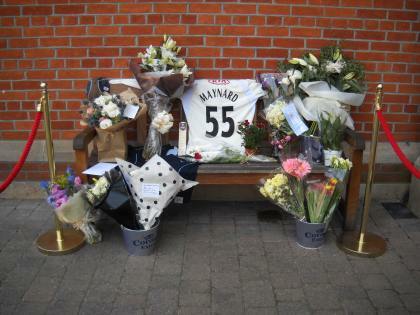 Reading it you realise just how much he was loved at Surrey. The Tom Maynard Trust was set up to support young and disadvantaged cricketers, its work continues to keep Tom’s memory alive. My other interests are varied and include privacy campaigning, cookery, public transport and classic rock music. 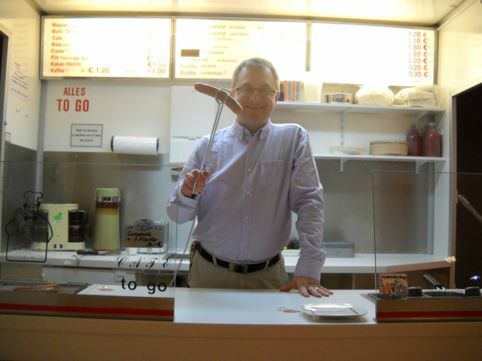 This photo sees me at the Currywurst Museum in Berlin where my wife and I dropped in while on honeymoon. 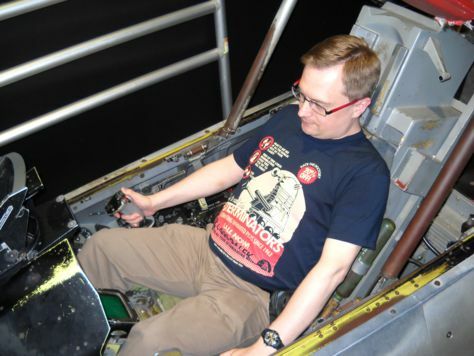 This photo sees me at the US Air Force Museum in Dayton, Ohio. 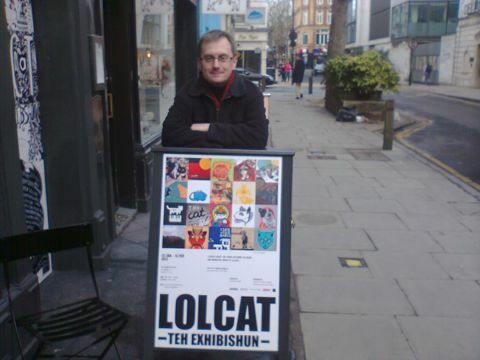 Here I am at the LOLCat exhibition. 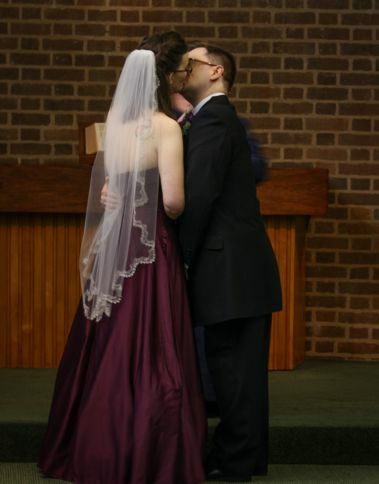 Having mentioned the honeymoon it is only right to post this from the happiest day of my life – getting married. I have challenged local councils a number of times over their failures and had those issues resolved in my favour. I have reluctantly done the same with NHS trusts and GPs when they have fallen short of standards rightly expected of them. I have also submitted evidence to Government consultations and continue to write to MPs, peers and MEPs about transport, law and technology issues.